Qemmah Real Estate solution is designed to automate the full selling and contractual processes for real estate companies. Qemmah, a subsidiary of Summit Holding, specialized in providing and implementing Oracle E-Business Suite applications and Customer Resource Management (CRM) solutions has been contracted by Rooya Group, a real estate and construction company operating in Egypt, to install an Oracle E-Business Suite application to run Rooya's finance, supply chain and project management and costing in a fully integrated scheme. The Oracle E-Business Suite with Qemmah Real Estate solution offers an incorporated footprint of applications that facilitate all activities related to real estate management. The solution will provide sales, resale, lease administration and facilities management through a complete, holistic, web based application. It will also proactively manage critical milestones of the various real estate projects. Commenting on the project, Magda Sabee, Chairperson, Summit Holding, stated "It is with great honor that we begin our expansion plan with such a renowned real estate partner such as Rooya Group. We are constantly exploring ways to expand our services and our latest solution caters to one of Egypt's fastest developing sectors. This is a service that will not only help real estate companies, but will advance the industry as a whole"
Rooya Group is one of Egypt’s fast-growing holding companies in the field of real estate. The company was founded in 2007and is currently the owner of several developments in the country including, Stone Park in Cairo, Telal Al Alamein in the North coast, and Telal Ain el Sokhna. 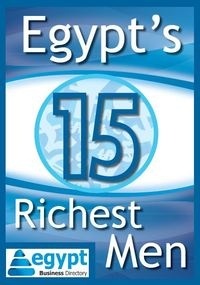 The company has a capital of EGP 2 Billion and investments accounting for more than EGP 12 Billion. "We strive to provide our clients with the best the Egyptian real estate sector has to offer and this is precisely why we partner with other leading companies to develop our services. This new solution will cut costs and time, something which will directly benefit our clients," said Eng. Hesham Shoukri, Chairman and CEO, Rooya Group. According to the Egyptian General Authority for Investment (GAFI), real estate is one of the most important sectors contributing to economic growth and affecting more than 90 industries related to construction. It is considered a labor-intensive sector as it accommodates at least 8% of the total labor force. The value of real estate activities in Egypt has witnessed continuous increases since 2001/02 when it recorded EGP 13.92 billion reaching about EGP 34 billion in 2010/2011 with 12.6% growth rate that year. Currently, the construction sector growth rate is expected to reach 5.63% by the year 2014.